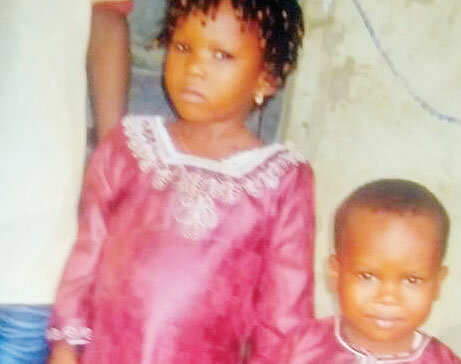 An apprentice, identified only as Grace, has allegedly absconded with the two children of her employer, Mrs. Suliyat Azeez, in the Okokomaiko area of Lagos State.The victims were identified as Farouk, 4; and six-year-old Kafayat. According to Punch Metro,it was learnt that Grace fled with the children on Friday, less than 24 hours after she resumed apprenticeship at their mother’s workshop on Ora Street, PPL bus stop, Okokomaiko. It was learnt that the children had returned from school and gone to their mother’s shop.Grace was said to have claimed she was going out to buy food and asked the children to accompany her. She was, however, alleged to have absconded with the children.Nobody had her contact or knew her place of residence.